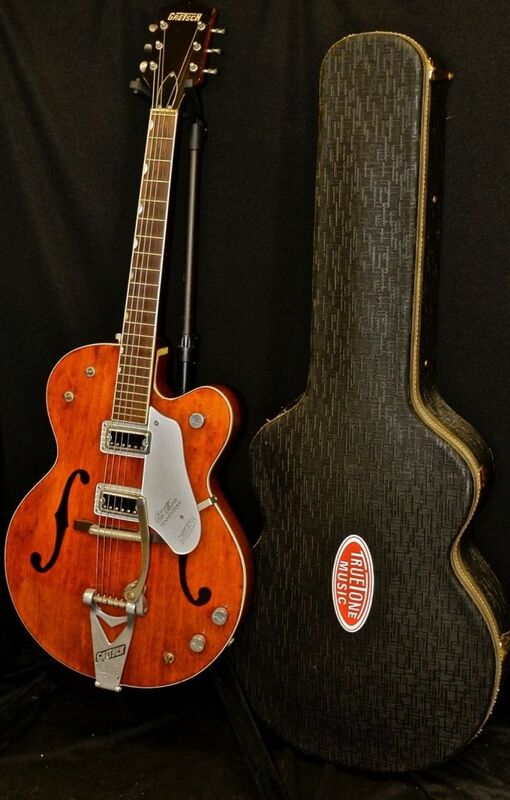 This is an original 1962 Gretsch Chet Atkins Tennessean in beautiful condition, and includes the original hard case. 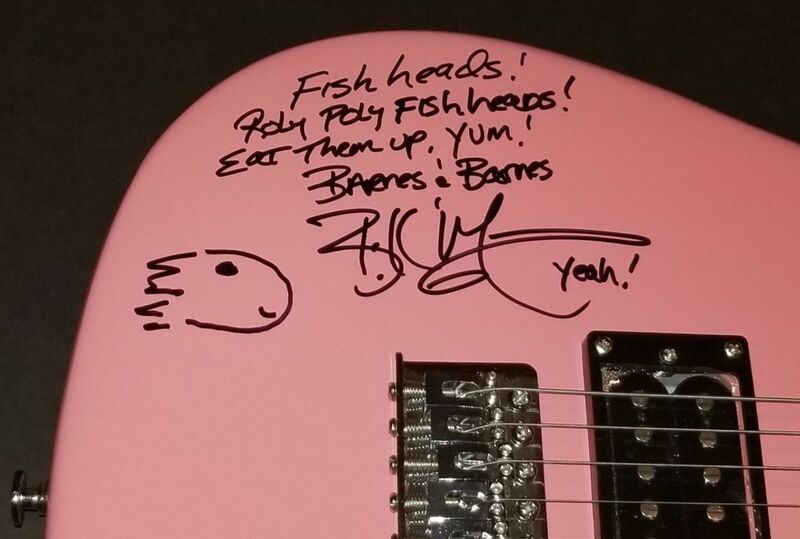 We sold this to the great actor/musician/writer/producer Bill Mumy, approximately 8 years ago. Bill has decided to downsize recently, and is moving some if his vast collection, this being one of them. The replaced bar bridge helps keep it in tune great with the original Bigsby, and in conjunction with the replaced Grover open back, era correct tuners. The pickguard has also been replaced. This beautiful guitar has that classic Gretsch sound and "twang" making it a perfect example of a great sounding vintage Gretsch. The playability is excellent, and the guitars overall structure is very solid. 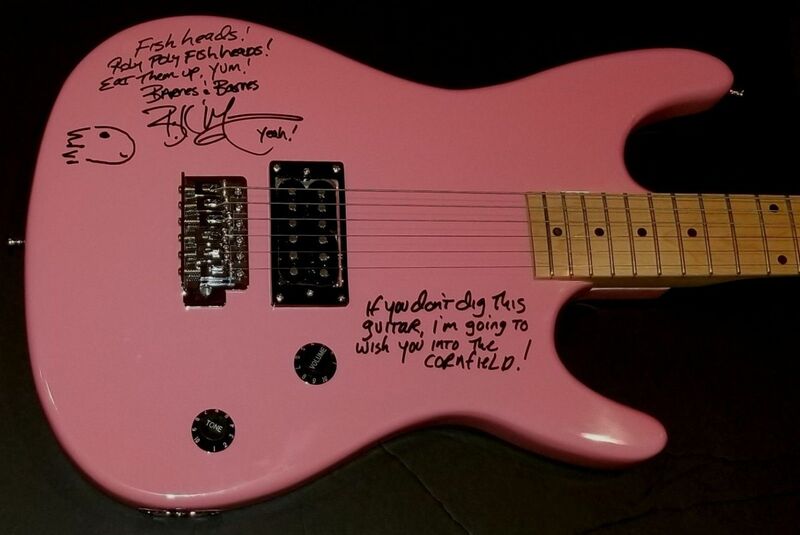 Play it with flats, play it with round wounds, either way this guitar sounds GREAT and is a winner! The original case is in great condition also, and has a Truetone Music sticker adorning it. This guitar is a solid 8.5 on a scale of 1-10. 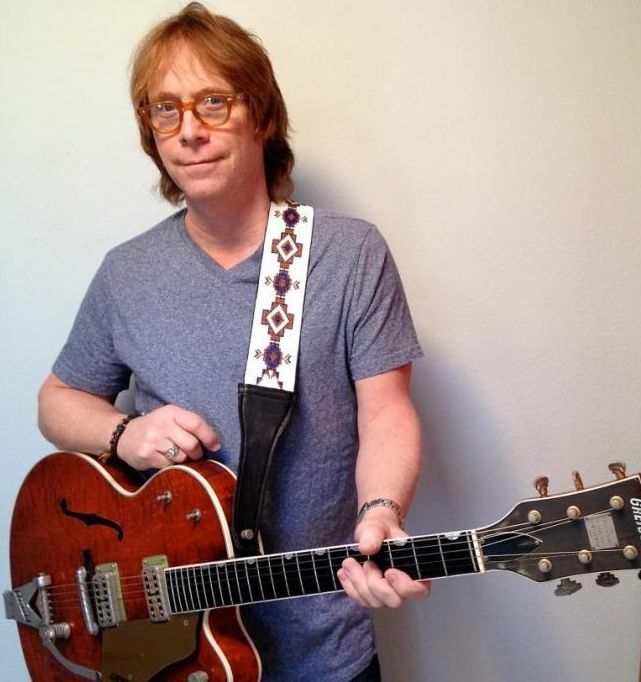 Along with the original case, the guitar includes a free set up according to the buyers specs, as well as a Certificate of Authenticity signed by Bill Mumy.